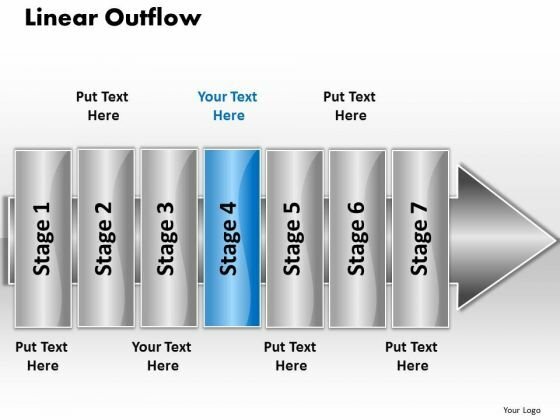 PPT linear outflow 7 power point stage PowerPoint Templates-The above Diagram contains a graphic of Pointing Arrow containing stages .This image signifies the concept of different stages of a process. This image has been conceived to enable you to emphatically communicate your ideas in The corporate environment is ever changing. Our Ppt Linear Outflow 7 Power Point Stage PowerPoint Templates too are constantly evolving. Our Ppt Linear Outflow 7 Power Point Stage PowerPoint Templates put your thoughts in a capsule. Deliver it to them in the correct doses.